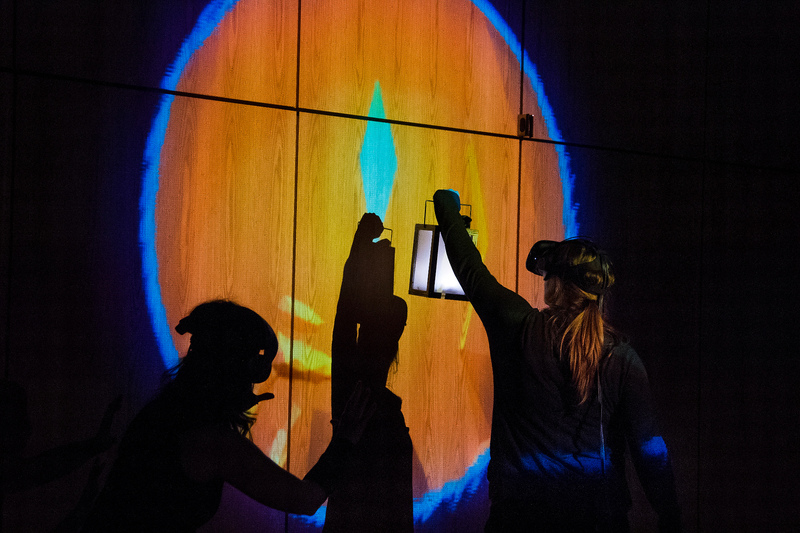 This experimental performance invites a volunteer into virtual reality to become a character in a live theater show. They enter a mysterious world to help a brave and curious creature make sense of a tragedy. 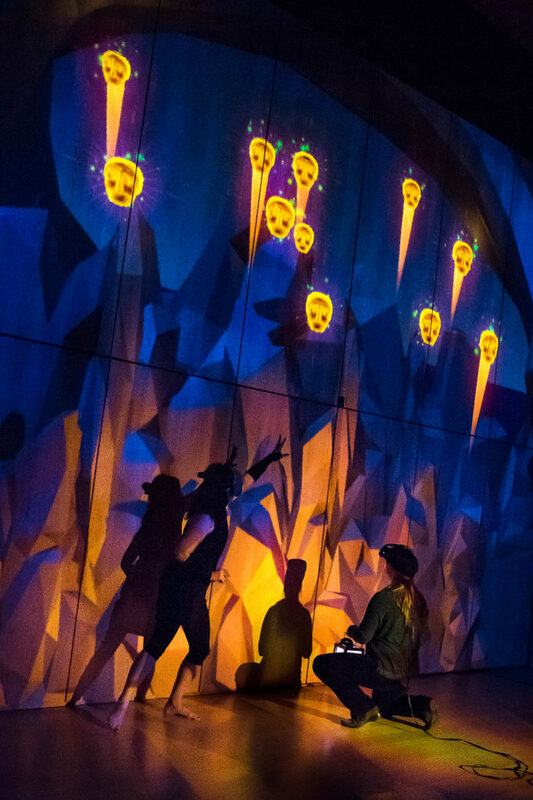 With its unique “mixed reality” presentation, Inworlds lets the audience peer directly into a VR world by covering the entire stage with projected visuals. The audience (and volunteer!) 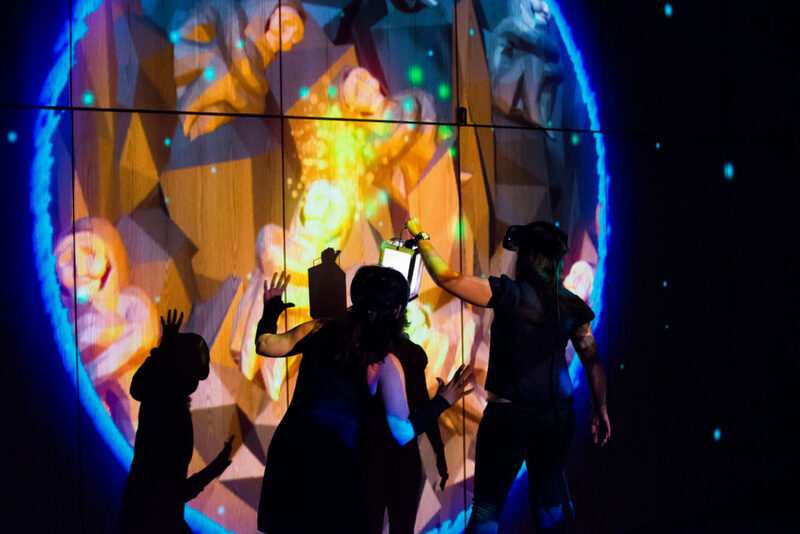 will go on a 15-minute journey through fantastical worlds in a first-of-its-kind interaction between a live actor and virtual reality participant. 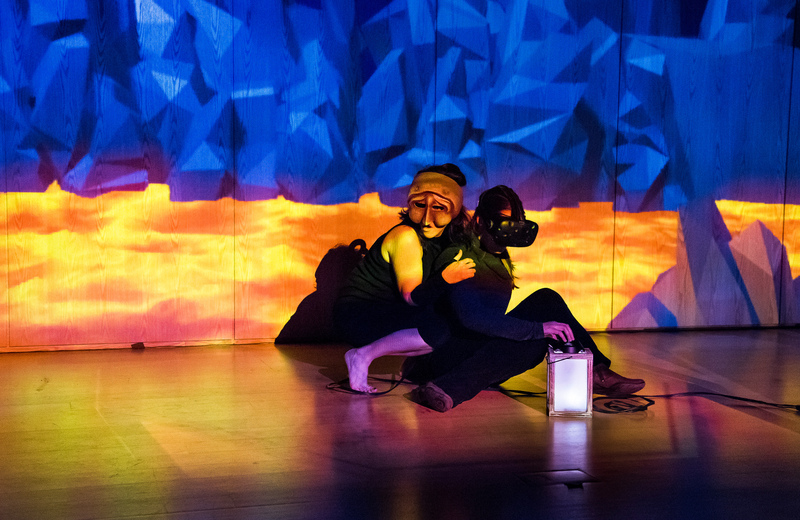 Avital Manor-Peleg brings her brilliant masked performance to the stage alongside the volunteer, exploring new forms of social interaction by combining improvisational theater and VR. 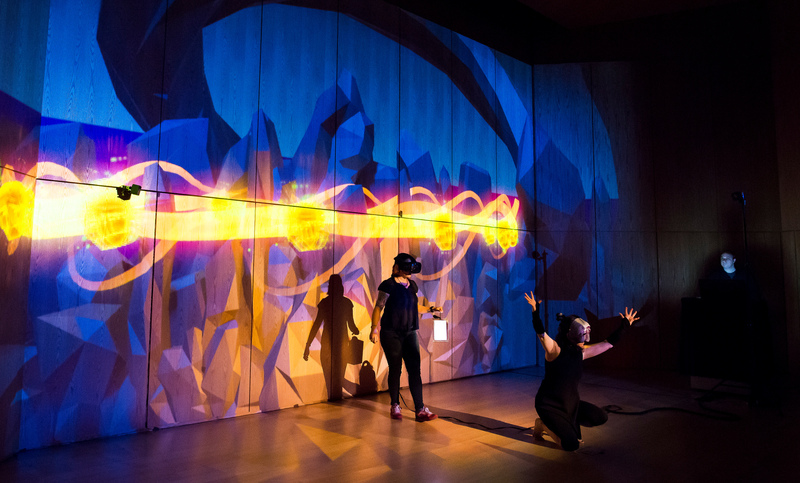 The project aims to demonstrate how VR can transform participants into performers. 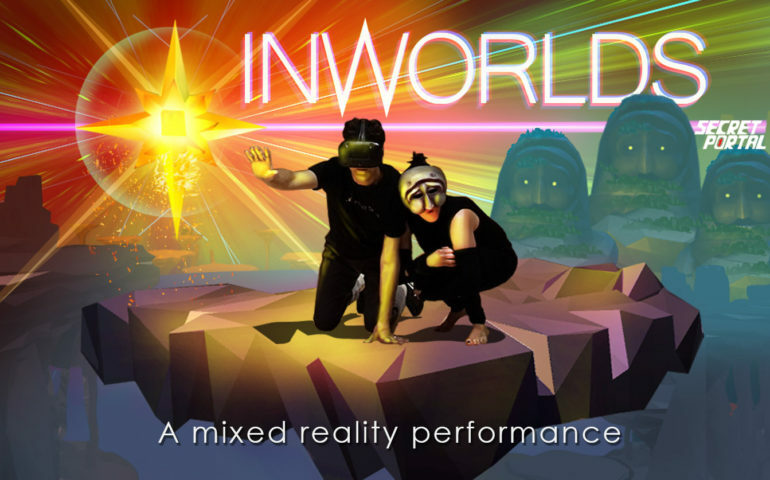 Inworlds had a special preview on December 14, 2016 at the Museum of Fine Arts, Boston! See more details about the event here. Commissioned by the Jewish Arts Collaborative for Hanukkah: The Festival of Lights @ the Museum of Fine Arts, Boston. 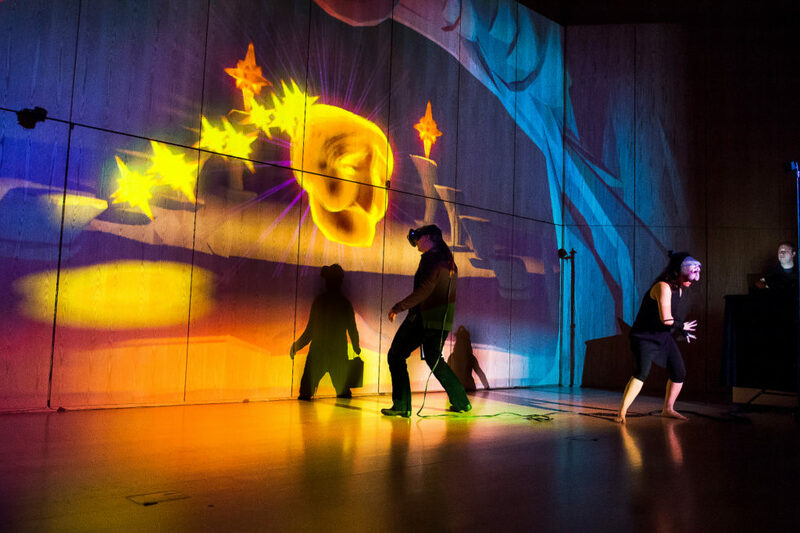 Special thanks to the Puppet Showplace Theater in Brookline, MA for providing rehearsal space and Combined Jewish Philanthropies for providing meeting space!